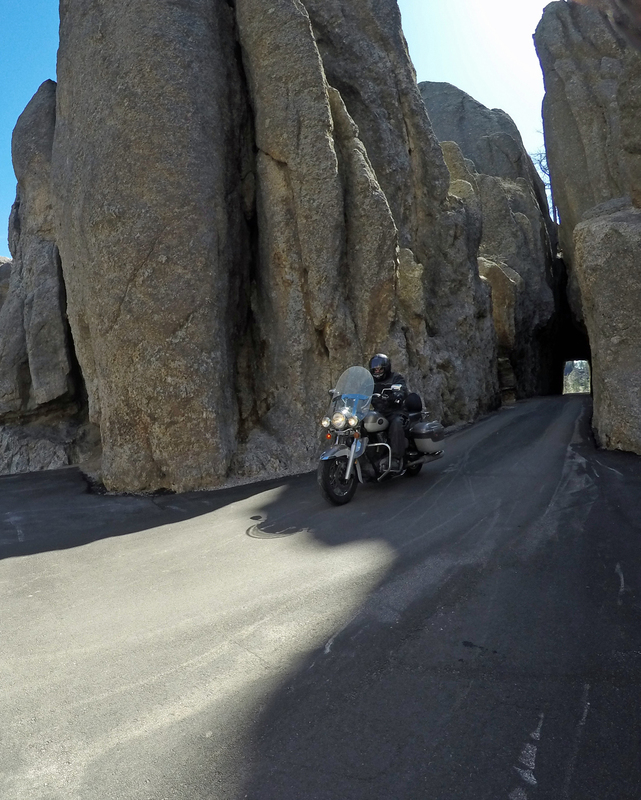 “Champ” passing through the Needles Tunnel in the Black Hills in May. Our new Harley is ready for its first adventure. He’ll have to earn a nickname. We said goodbye to our 2002 Victory Deluxe Touring Cruiser this past weekend. “Champ” (named for his champagne-and-cream paint job) had taken us 48,000 miles since we picked him up second-hand in 2007. He went to the Grand Canyon via Route 66, climbed Colorado’s “Million Dollar Highway”, visited all four corners of the state of Minnesota, drove around Lake Superior, followed the Mississippi River from its source in northern Minnesota to New Orleans, and took us safely through the Black Hills. He also served as a weekday mule, transporting my husband to and from work. It was sad to see him go, but he was an orphan. Polaris made that particular style only one year. Parts were had to find. At 52,000 miles, he had given good service. We went down to Harley-Davidson of Winona last Saturday to take part in a pre-Sturgis bash and promote my books. (The photo of Champ, by the way, is on the cover of my new book, Ride the Black Hills.) 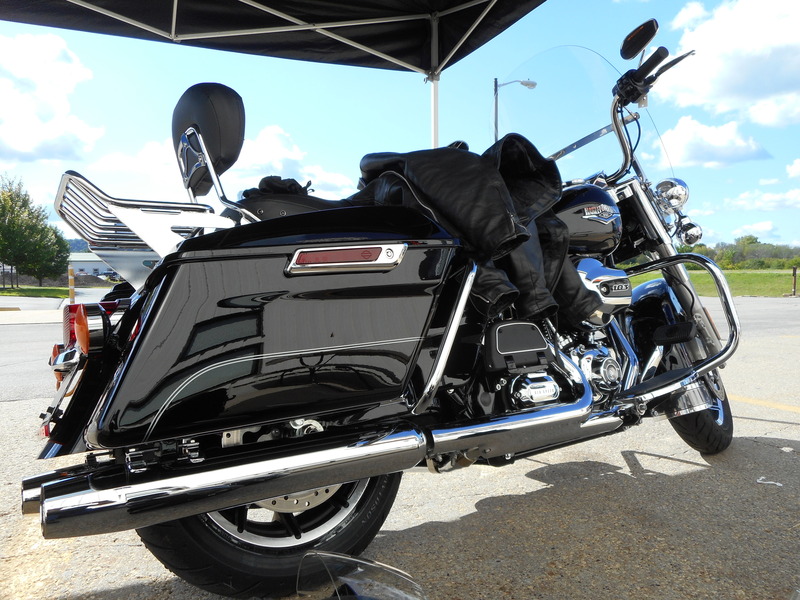 We took the opportunity to test-drive a couple of Harleys and wound up trading Champ for a 2016 Road King. The ride home from Winona on Hwy. 61 was highly enjoyable. The weather was beautiful and the Road King handled the curves so smoothly! We’re heading out soon for Glacier National Park. It will be fun to discover how the “new kid” handles the mountains.